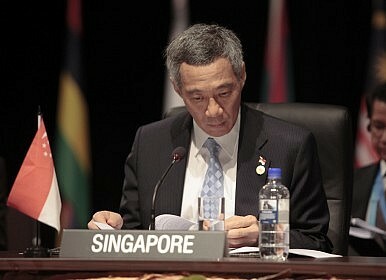 Singapore will hold its next general election on September 11, officials said Tuesday. As is customary, the date was announced after the sitting president, Tony Tan Keng Yam, dissolved Singapore’s parliament on the advice of Prime Minister Lee Hsien Loong. Tan also issued the Writ of Election, acting on the premier’s advice. “I call this General Election to seek your mandate to take Singapore beyond SG50 into its next half century,” Lee wrote on Facebook after the Writ was issued. The announcement comes as no surprise. While Lee had until January 2017 to call an election, many had expected polls to be held some time around September. Some argue that the timing of polls confers additional advantages to the ruling People’s Action Party (PAP), which has ruled Singapore since its independence from Malaysia in 1965 and is likely to return to power again this time around. Since this is the 50th anniversary of Singapore’s independence, there might be a surge of nationalism as Singaporeans reflect on their country’s history. The election announcement came just three days after a National Day rally speech by Lee. The PAP may also pick up sympathy votes given the outpouring of grief following the death of Singapore’s founding prime minister (and Lee’s father) Lee Kuan Yew. The economic uncertainty following the global stock market meltdown recently may also strengthen the case for a steady hand at the tiller. But there are also indications of growing frustration with the PAP. Surveys by local research firm Blackbox have shown a decline in “government satisfaction” for three consecutive months, down to 76 percent from a high of 80 percent in April. A disruptive public rail breakdown in early July was partly responsible for reducing public transport satisfaction by 12 percent, while satisfaction levels on health insurance, taxes, and pensions were also down between 8 and 12 percent. Low satisfaction figures (below 50 percent) were recorded for cost of living and motor vehicle prices, reflecting long-held grievances which are likely to remain front and center in the election. The views of younger voters in particular will be key. While few expect this to lead to a PAP loss, the opposition will look to capitalize on these issues to reduce the PAP’s margin of victory – which is usually heavily scrutinized, given its expected dominance. In the last general election in 2011, the PAP recorded its lowest-ever share of the vote at 60 percent, down from 67 percent in 2006. And though it won 81 of 87 parliamentary seats, the six seats the opposition won was a record as well. In an address on August 26, Worker’s Party Secretary General Low Thia Khiang said voters should consider “whether or not you want to continue to allow the PAP to decide your future, (or to) have a say in the future you want,” a clear dig at the PAP’s iron-fisted rule. Yet the opposition has faced some of its own challenges of late, including scrutiny by the auditor-general in a financial audit of the Aljunied-Hougang-Punggol East Town Council earlier this year. The PAP has been exploiting these challenges, and it will hope to claw back some of the lost seats and improve on its showing this year relative to the 2011 elections.